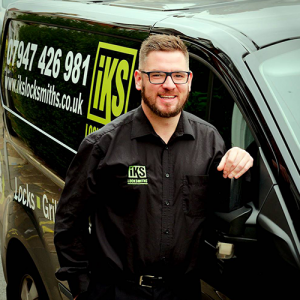 IKS Locksmiths started as a small family run company that has quickly grown into a well respected locksmith Barnet company. Director Martin Slane has always believed in offering only the highest standard of work at competitive rates, and satisfied clients began recommending them to their friends. 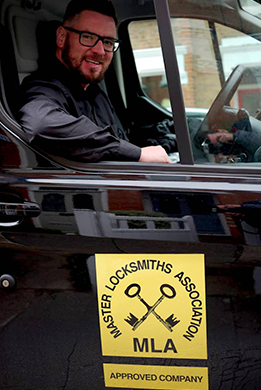 It is thanks to this word of mouth support that IKS Locksmiths are now one of the top providers of locksmith services in the greater London area. Staying true to our roots, IKS Locksmiths is built upon strong family values: reliability, honesty and trust. We recognise the value of good customer service. We always put our clients first and strive to ensure that you are 100% satisfied with the service you have received. Our locksmiths take pride in their work. Securing someone’s home or business is not to be taken lightly. We understand that we are dealing with people’s property and their most valuable possessions so when it comes to the security of your home or business, you need a company that you can rely on. With IKS Barnet Locksmiths, you can be sure that all work is 100% guaranteed and completed by a CRB checked Locksmith. Locksmith emergencies can happen anywhere, any time. We also offer an emergency service so you are never alone. Our 24/7 mobile locksmith service operates across North London, South Hertfordshire and surrounding areas. Take advantage of our free security survey. Your security is our priority so to make sure that your home or business is as secure as it should be, we also offer a free security survey. One of our professional Locksmiths will take you through the report identifying areas of concern and recommend the best security solution to meet your needs and budget. Call us on 07947 426 981 to arrange for your free security survey or click here to submit your details and we will contact you.